Adaptive leadership a leadership model that was introduced by Ronald Heifetz and Marty Linsky. Heifetz defines it as the act of mobilizing a group of individuals to handle tough challenges and emerge triumphant in the end. Perception of leadershipLeadership TraitsLeadership traits refer to personal qualities that define effective leaders. Leadership refers to the ability of an individual or an organization to guide individuals, teams, or organizations towards the fulfillment of overall goals and objectives. This list of leadership traits will explain each one nowadays is very much different from that in past years. The idea where one heroic individual single-handedly generates results by enforcing his will is considered outdated. Leadership is now considered a team sport. Company managers and other people in leadership positions now work together with their employees to accomplish goals and initiate changes. But considering how volatile and uncertain the corporate world can be, executivesCEOA CEO, short for Chief Executive Officer, is the highest-ranking individual in a company or organization. The CEO is responsible for the overall success of an organization and for making top-level managerial decisions. Read a job description often find it difficult to keep abreast with all the changes. To survive and thrive in the business world, one needs to be more than high performing. Corporate leaders need to adopt new strategiesCorporate StrategyCorporate Strategy focuses on how to manage resources, risk and return across a firm, as opposed to looking at competitive advantages in business strategy and techniques to overcome any challenges that come in the way, which is where adaptive leadership comes in. Adaptive leadership recognizes that there are two kinds of problems: technical and adaptive. With technical problems, a satisfactory pre-determined response is already available and one or more experts who possess solid reputations are sought to address the issue. Overall, technical problems are mechanical and can be solved by professionals. With adaptive problems, there are absolutely no trained experts to deal with the problems at hand. Also, no set of established rules or procedures exists to address the issue. In most cases, the definition of the problem is vague and there aren’t any technical fixes. It is in such situations that the expertise of an adaptive leader becomes useful. Such an individual first helps to define the problem and then mobilizes his co-workers to come up with possible answers. Emotional intelligenceEmotional IntelligenceEmotional intelligence also known as the emotional quotient (EQ) is the ability to manage one's emotions and the emotions of others. For business leaders, high EQ is essential to success. This guide covers the five elements of emotional intelligence and their relevance to characterizing a successful leader. EQ vs IQ is the ability to recognize your own feelings and those of other people. With this awareness, an adaptive leader is able to build trust with other participants and foster quality relationships. Another fundamental principle of adaptive leadership is fostering a culture of honesty. Adaptive leaders know the best policies to introduce for the good of the organization. They also know the best ways to introduce these changes so that people embrace them. Adaptive leaders are willing to accommodate other peoples’ views, hence, assuring them that they are valued and respected. Adaptive leadership entails learning new things. If one technique is not yielding desired results, an adaptive leader goes out of his or her way to discover new strategies that can work. With new techniques, both the employees and the company at large will experience growth and development. Adaptive leadership is about having a deep sense of character, being transparent and creative. Adaptive leaders may not always be right but they earn the respect of those they work with and practice what they recommend. The ability to link organizational change to the primary values, abilities, and dreams of the stakeholders involved. The capacity to create an environment that embraces diversity of views and takes advantage of such collective knowledge to benefit the organization. 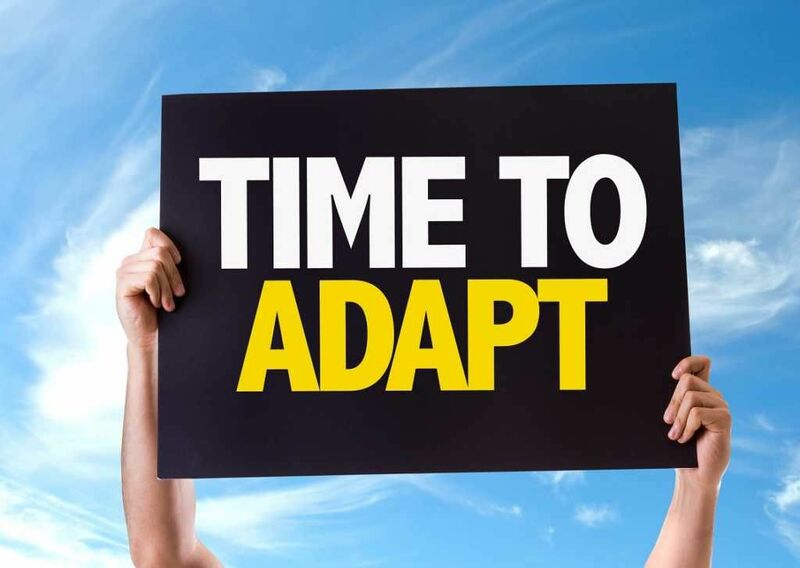 The adaptive leader understands that change can be a painful process. Therefore, he or she can foresee and counteract any reluctant behavior from teammates. An understanding that large-scale change is a gradual process, which calls for persistence and a willingness to bear the pressure that comes along with that. Being proactive, looking for opportunities and investing the necessary resources to go after them. Admitting when they make mistakes and changing or abandoning non-productive strategies. Liking and encouraging innovation among employees. As predicted by Heifetz, adaptive leadership does bring a couple of challenges. This leadership model is all about experimenting, discovering new knowledge, and making numerous adjustments throughout your company. It is only through a change of attitudes and adjustment of policies that you will manage to sustain changes and thrive. However, shifting individuals’ values, beliefs, and perceptions is usually more difficult than flossing a cat’s teeth. Making changes requires you to be somewhat disloyal to your past. For instance, if you want to implement a new marketing strategy, then you have to first embrace the fact that your current marketing techniques are ineffective. Most senior executives are reluctant to let go of life-long policies that got their companies started. However, sticking to your old ways can hinder the benefits that could result from new methods. Another challenge that adaptive leadership presents is that it sets the stage for different forms of resistance. This could be from your employees, other company stakeholders,StakeholderIn business, a stakeholder is any individual, group, or party that has an interest in an organization and the outcomes of its actions. Common examples of stakeholders include employees, customers, shareholders, suppliers, communities, and governments. Different stakeholders have different interests, and companies often or clients. The most common methods that people use to hinder adaptive change is by marginalizing, diverting, or attacking. If you notice any of said activities, chances are that your employees are hesitant to adopt that new policy you’re trying to implement. Perhaps the greatest challenge brought about by adaptive leadership is the unwillingness of leaders to listen to other people’s opinions. As explained earlier, adaptive leadership is less about power and more about teamwork. In theory, adaptive leaders should be willing to listen and adapt recommendations provided by co-workers or clients. In reality, however, only a few select leaders are willing to listen to individuals who disagree with them. What such leaders fail to understand is that listening does not necessarily mean abandoning individual goals. It simply means that you’re better informed about your employees’ needs. Therefore, you can work more effectively to execute changes. Although adaptive leadership requires a great deal of effort, it provides substantial returns. Based on credible statistics, firms that are adaptive end up with immense gains both financially and operationally. They are able to weather storms and rise to the top even during periods of volatility. 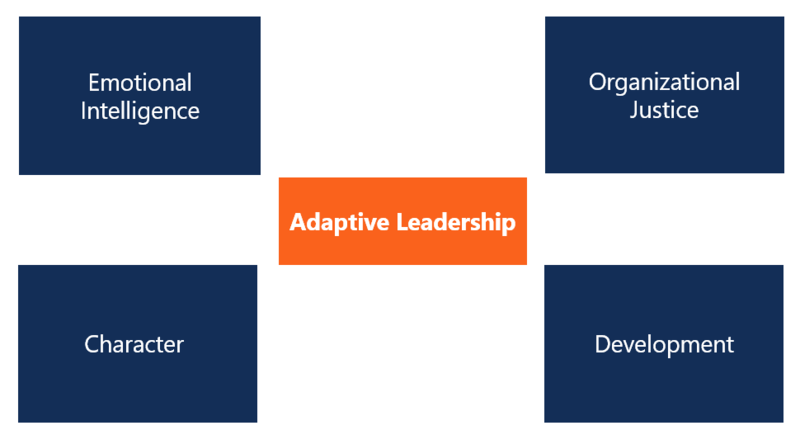 In summary, adaptive leadership can be summed up using four main principles: distributed leadership, optimal talent mix, possessing a transparent character, and developing mutual trust. With regards to distributed leadership, the leader delegates roles to team members. Optimal talent mix entails using everyone’s skills rather than just those of top-level executives. A clear charter means that the company or team follows well-defined goals, duties, and ground rules, while trust helps to foster strong bonds among employees, employers, and clients.